The Basic Skills for Young People started Tuesday 28th April and runs every Tuesday (Pool) and Thursday (Outside) until June 30th. Last Thursday was an intoductory session at Craigendoran which ended with a game of Polo. This Thursday we are again at Craigendoran at 6pm expecting to experience the joys of surf. The forecast is sun, a westerly wind F4 and an ebb tide which should,be low enough for the sand. Anybody interested is very welcome to join us. There have also been a number of trips, some on the Clyde and some on the Loch. Last Thursday Hugh, along with Tim, Adele and Gregor took a training paddle out to the wreck. It was suprisingly choppy and cold in the northerly wind. All coped well with Gregor carying out his self rescue assessment. 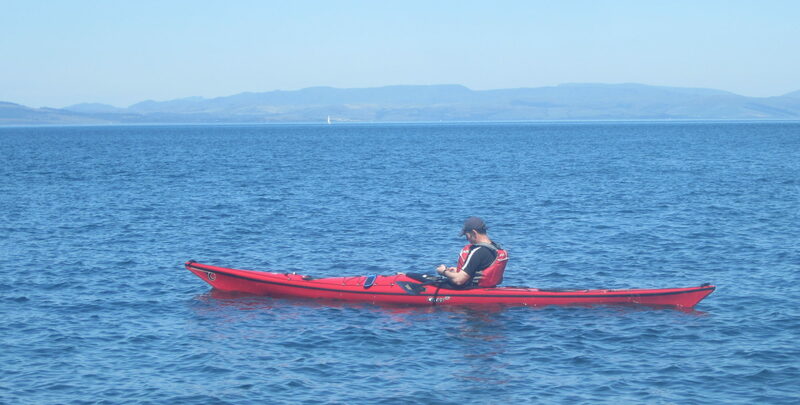 Next week the Basic Skills are at Luss for an introduction to Canoeing. Meanwhile the Sea Paddlers are off on a trip to the far North West for 4 days. Email riddington89@hotmail.com for information on club, courses and trips.